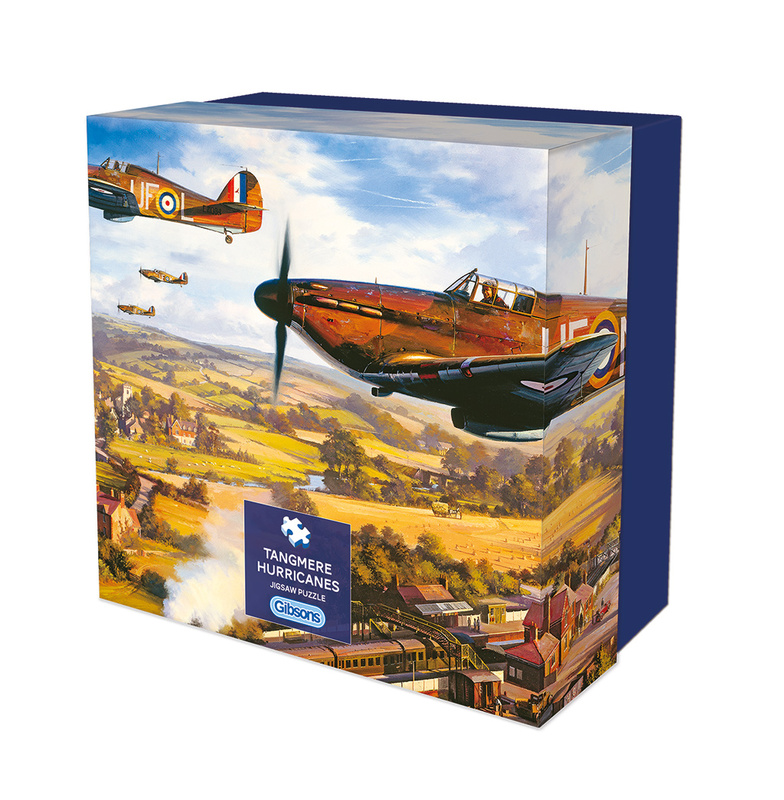 A Tribute to our Finest has been painted by Trevor Mitchell to celebrate the 100th anniversary of the RAF. 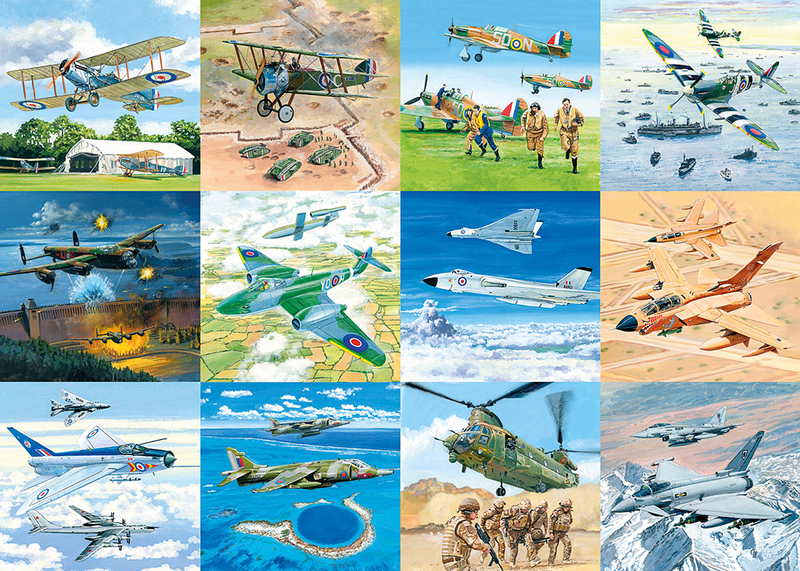 The twelve images feature the many Air Force planes that have protected our country since WWI, including the Harrier Jump Jet and The Eurofighter Typhoon. The jigsaw also includes one of the first planes to be used by the RAF, the Bristol F.2 Fighter and later, the Gloster Meteor, which was the Allies' only jet aircraft to achieve combat operations during the Second World War. 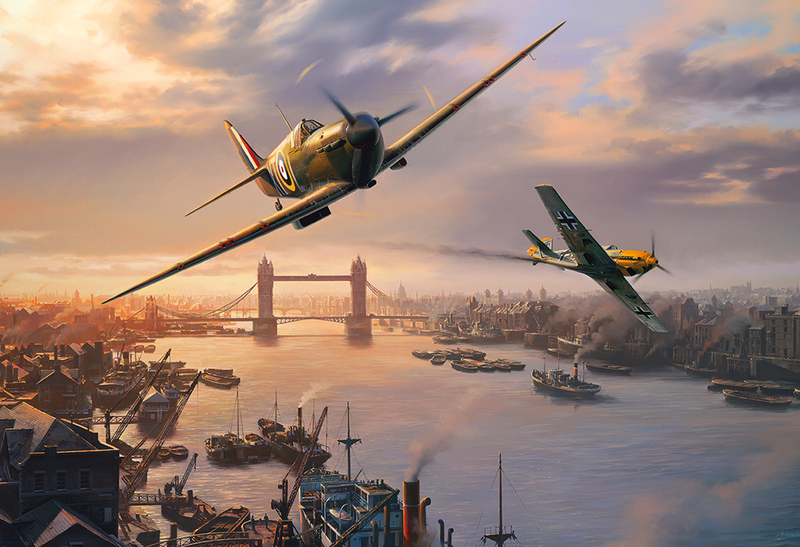 These aircraft, and the heroic pilots who flew them, made immeasurable contributions and turned the tides of two world wars over the course of hundreds of battles. 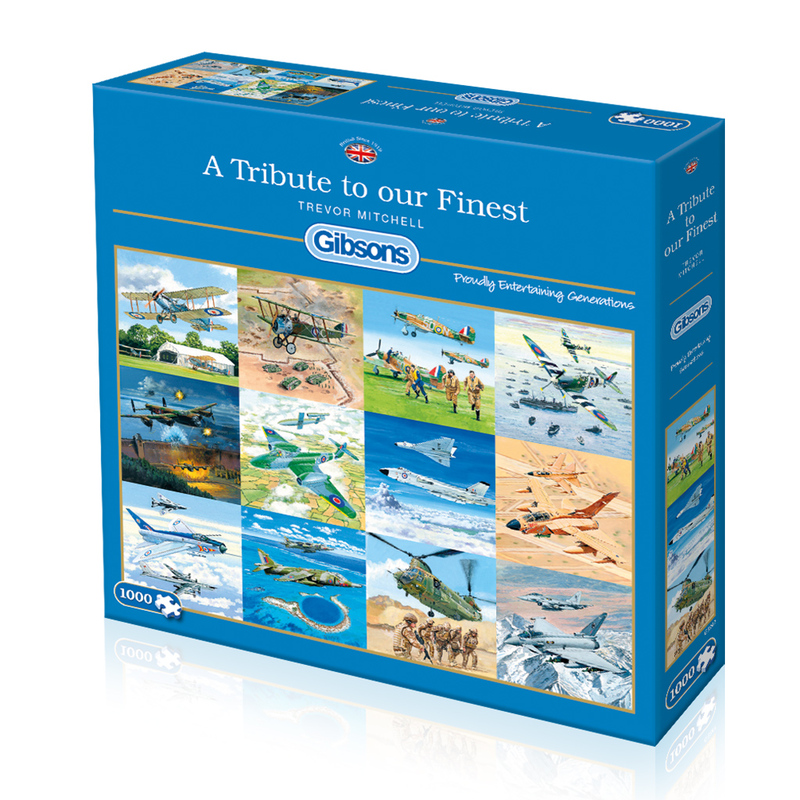 As with all Gibsons jigsaws, these beautifully illustrated pieces are made from the highest quality 100% recycled board and is therefore a pleasure to work with again and again.